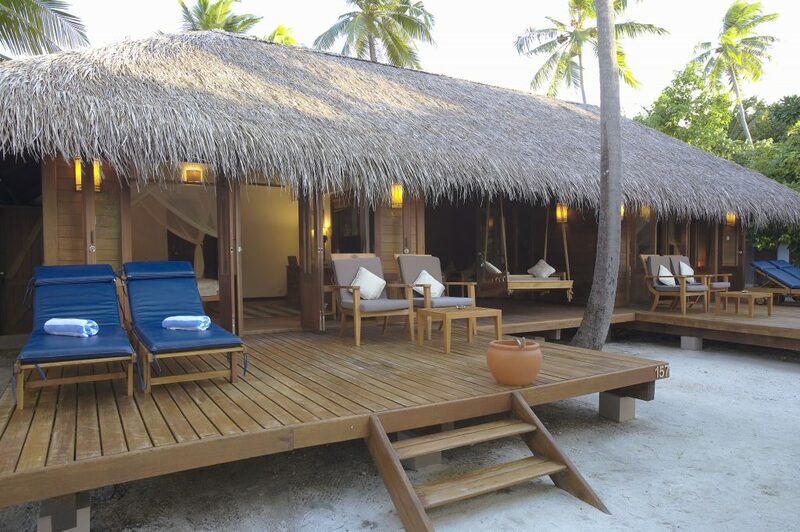 Located on the vibrant Meemu Atoll 40 minutes by sea plane from Malé is the outstanding Medhufushi Island Resort. If you are looking for a true island hideaway, you have found it. 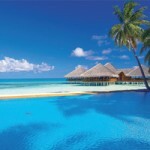 This lavish resort is all about enjoying endless relaxing days and fine cuisine in a secluded paradise setting. Since Medhufushi is spread out across a wide area, you will easily find your own spot on the white sandy beach in front of the crystal clear lagoon. 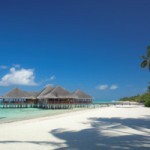 Discover the real Maldives at Medhufushi Island Resort… you won’t regret it. 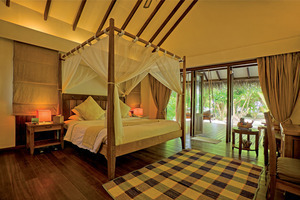 The Beach Villa (65 sqm), with its private veranda with Maldivian-style swing, is surrounded by gorgeous tropical nature. 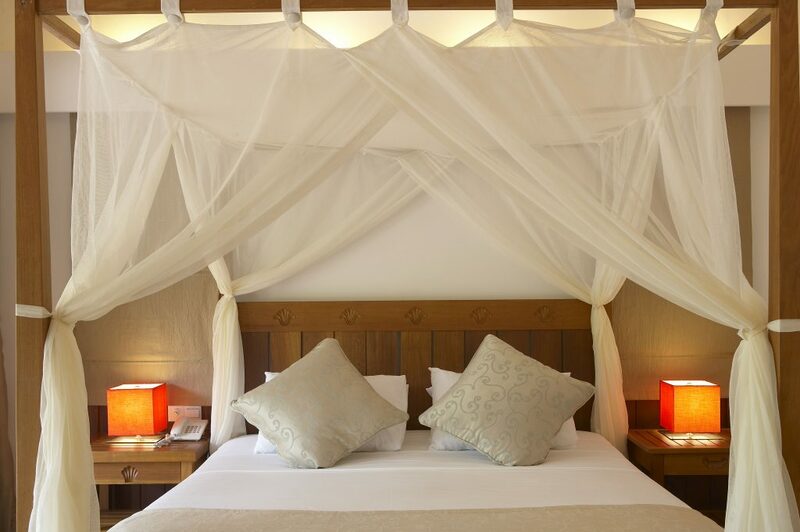 Under the thatched roof of these chic villas, there is a large bedroom with a romantic four-poster bed. With a lovely outdoor rain shower and the beach only seconds away, you will truly feel like you’re in paradise. These villas are either semi-detached or detached. 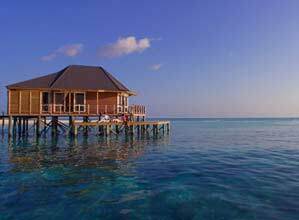 The Water Villas (60 sqm) are built on stilts in the lagoon just off the beach on the east side of the island, which makes for that extra special holiday feeling. 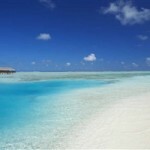 Here you can truly indulge in all that Maldives has to offer. The sunset views are unbeatable, and with a glass-fronted bedroom, you don’t even have to leave your bed to see it. 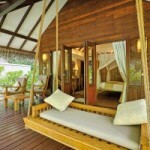 Your private terrace hovers over the lagoon and features a lovely Maldivian swing and sun loungers. 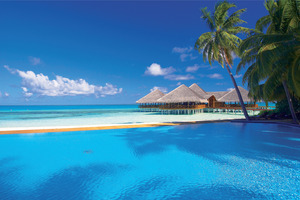 From the terrace, you also have direct access to the warm lagoon. 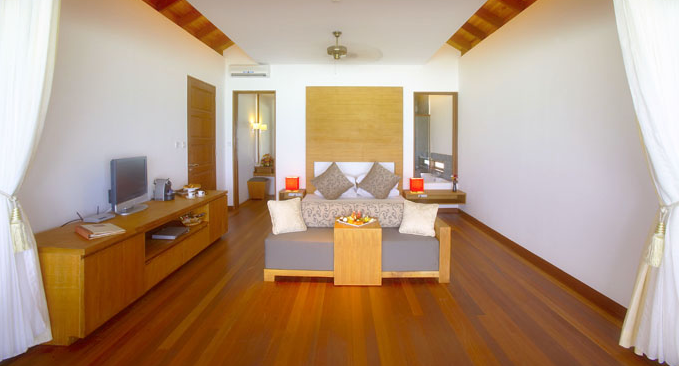 The Beach Villa Suite (178 sqm) have two fabulous bedrooms, so they make a perfect choice if you are travelling to the Maldives with your family. 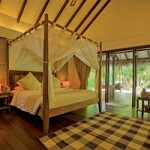 Each villa is set in a heavenly location with gorgeous views of the Indian Ocean. 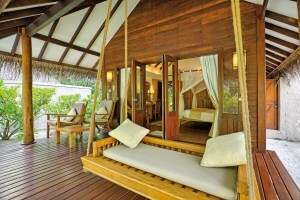 Your private outdoor terrace with the Maldivian swing is ideal both for sunbathing and sunset cocktails. 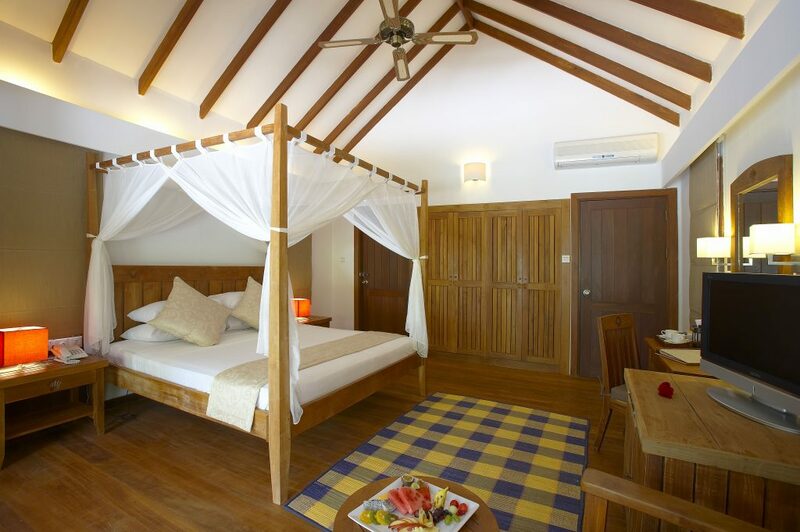 The Lagoon Suite (152 sqm) is the most exclusive accommodation of Medhufushi Island Resort. They are free standing in the turquoise lagoon and offers privacy as well as space. 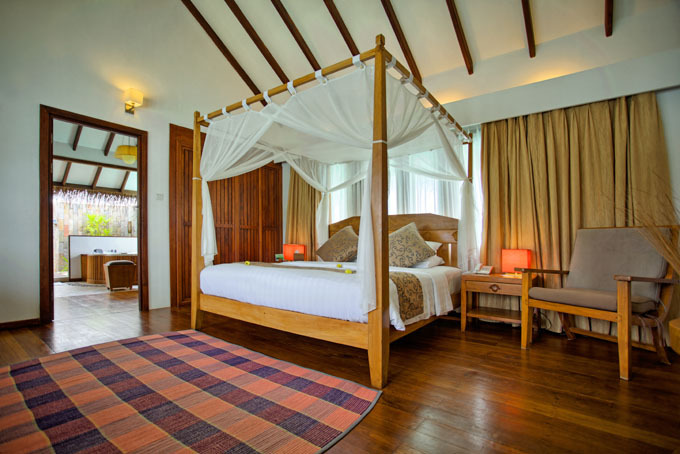 Your bedroom has a romantic four-poster bed, while the open-air bathroom features a deep bathtub as well as an exotic rain shower. A traditional Maldivian style boat is available 24 hours a day for your use, as your spectacular Lagoon Suite is set upon stilts. 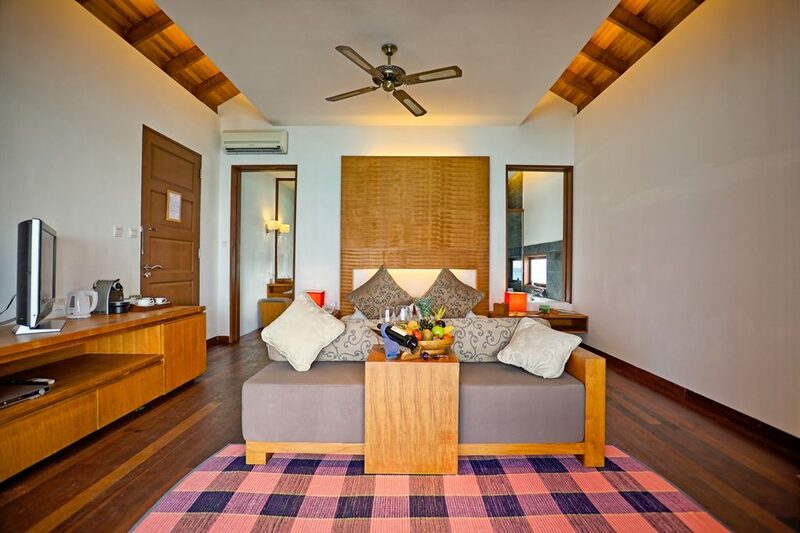 Making for complete privacy and peacefulness, a holiday in the Lagoon Suite is one you won’t forget. Medhufushi Island Resort offers a vast range of facilities and activities, ensuring you never experience a dull moment on your Maldives holiday. The exclusive boutique and modern gym are well worth a visit or two, while the impressive diving centre is your key to discovering the secrets of the marvellous Indian Ocean. The multi-lingual international instructors will bring you to excellent diving spots where you will be surrounded by colourful tropical fish. If you prefer to stay closer to the shore, then the lagoon offers amazing snorkelling opportunities. Other activities include billiards, deep sea fishing, canoeing and surfing. Some might argue that the whole resort is a pampering experience in itself, but Medhufushi Spa takes relaxation and rejuvenation to the next level. Located directly above the stunning turquoise lagoon, you could hardly find a better place to treat yourself to wonderful treatments inspired by the balance between the sun and the moon. After a hot stone massage for those tense muscles, you can enjoy a herbal bath and leave rest of the world behind while you focus on your own wellbeing. 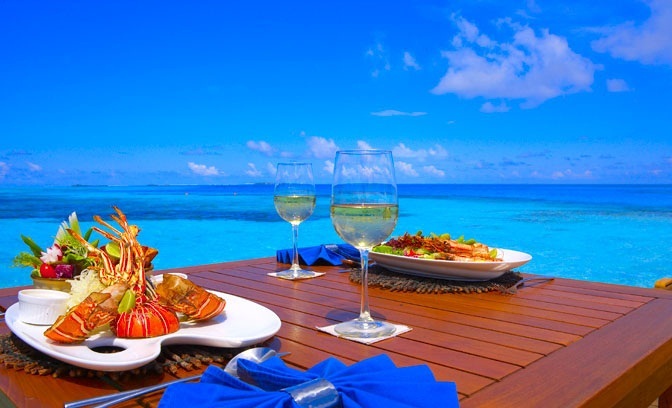 Medhufushi Island Resort offers plenty of variety in terms of dining. 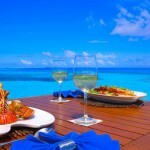 Malafaiy is a laidback restaurant situated next to the gorgeous swimming pool in the centre of the island. Here you can enjoy international cuisine all day long, accompanied by the finest views of the lagoon. Alfresco is an a la carte restaurant, perfect for couples wishing to enjoy their food with the stunning sunset as a backdrop. The menu is both varied and delicious. The Vilu Bar offers an impressive variety of exotic cocktails and other beverages, as well as snacks. 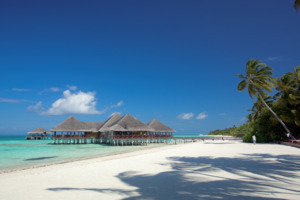 Being situated directly above the lagoon, it’s the ideal place for relaxation. Gourmet Menus can be served either at the beautiful beach or at the sunset pavilion. This exclusive dining option is available for special occasions. 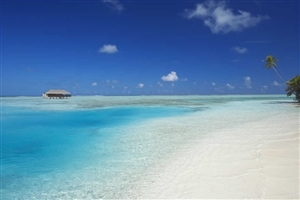 Simply Maldives Holidays offer a Half Board Package, Full Board Package and an All-Inclusive Package to guests staying at Medhufushi Island Resort.